Only recently has transportation been directly linked to health. Research now proves that if you walk, bike or otherwise use your muscles on a regular basis, you can avoid or lessen a host of metabolic and other diseases, including obesity, heart disease, depression, and type-2 diabetes. It’s easiest to be physically active if the opportunity is right outside your door. 3,000 borderline diabetics who walked 30 minutes 5 days a week over a 6-month period reduced their diabetes risk by 50%. After the city of Charlotte, North Carolina opened a light rail line in 2007, drivers who switched to the train (and therefore walked more) lost an average of 6 pounds and reduced their long-range chances of becoming obese by 81%. Older Americans who walked 45 minutes 3 days each week for a year had a 2% increase in brain volume while the brains of those who didn’t exercise shrank by 1.5%. For about the last hundred years, street planning has been focused on how to make driving a vehicle safe and unimpeded. But lately, transportation planners have reawakened to the needs of other road users. “Multimodal” is the parlance for this kind of comprehensive planning: making it safe and convenient for people to have a variety of options to get from here to there. Until now, however, due to a lack of sanctioned guidelines, many agencies have been reluctant to go beyond car-centric planning. A new survey of state departments of transportation finds that, when planning road projects, most agencies rely on “engineering judgment” when it comes to including other modes, and 75% of respondents admit they have no procedures for multimodal risk analysis. Thankfully, though, some new tools are here to help. Introduced at the highly respected Transportation Research Board, an arm of the National Academies of Sciences, the resources are expected to have wide-ranging influence on creating or improving the “built environment,” i.e., streets, sidewalks, and associated accoutrements, such as traffic signals. States and metropolitan areas can now easily incorporate health measures and goals into transportation planning using the U.S. Department of Transportation’s aptly-named Transportation and Health Tool. 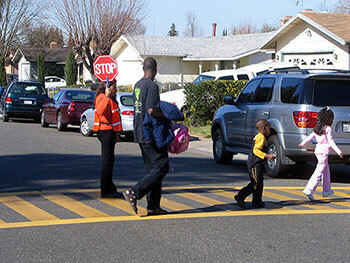 Agencies can use the web-based platform to custom-design strategies for improving their own community’s health through transportation plans and policies. 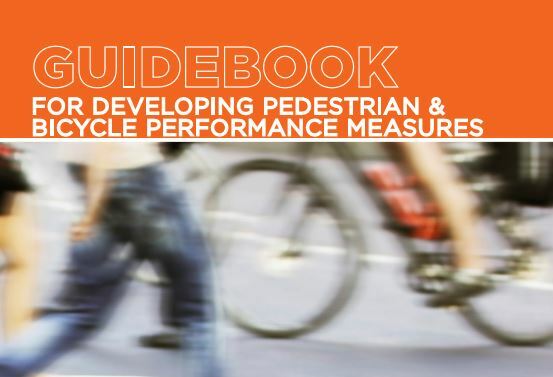 Another new arrival is the Federal Highway Administration’s Guidebook for Developing Pedestrian and Bike Performance Measures. This is also a free, interactive tool agencies can use to “take a look at what are their overarching community goals and how they can find measures that really align with those goals to help evaluate and track and implement pedestrian and bicycle systems,” explains Karla Kingsley, co-author of the Guidebook. Included is a Performance Measures Toolbox that presents how 30 different considerations (such as Job Creation, Land Value, and Connectivity) tie into each travel mode. For example, the Toolbox might make it clear in a road widening plan that including bike lanes will provide a missing link in the regional bicycling network. At this point you may be thinking: That’s all well and good, but the vast majority of road users are drivers, so shouldn’t they count for more in the road design? Also in the final planning stages are Guidelines for Designing Low and Intermediate Speed Roadways That Serve All Users. The guidelines pertain to the majority of streets in suburbia and almost all of them in cities: those with speed limits of 45 miles per hour or less. While all this new transpo thinking shakes out, the easiest way for you to get a running start on good health and overall durability is to live in a place where sidewalks, bike lanes, and transit stops are already there. Jenifer Joy Madden is a health journalist, author, and award-winning community advocate based near the nation’s capital, where she literally and figuratively builds bridges to greater well-being. Jenifer’s words and videos have informed millions on news outlets ranging from ‘The Washington Post’ to the Children and Nature Network to her website, The Durable Human. Jenifer Joy Madden will be presenting on ‘How to be a Community Advocate for Active Living” at Movement Makers: The National Active Living Summit on May 17-18 in Richmond, VA. This content originally appeared on Jenifer Joy Madden’s website The Durable Human. It is republished with her permission.